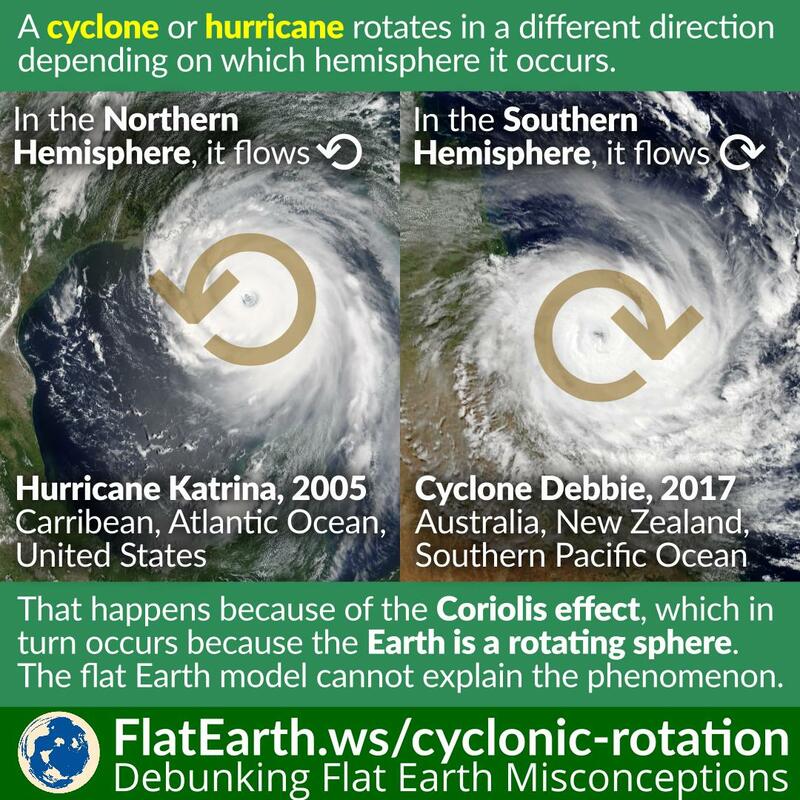 A cyclone or hurricane rotates in a different direction depending on which hemisphere it occurs. A cyclone rotates counterclockwise in the Northern Hemisphere, and clockwise in the Southern Hemisphere. The phenomenon happens because of the Coriolis effect, which in turn occurs because the Earth is spherical and rotating. This fact also makes a cyclone happens very rarely near the equator. Near the equator, the Coriolis effect is too weak that it is almost impossible for a cyclone to form. This phenomenon cannot possibly happen if the Earth is flat and motionless.